Australia must wish the first Test had been played in New South Wales instead of old south Wales. Already Cardiff held few fond memories for Australia cricketers, from their one-day loss to Bangladesh there in 2005 to their 2009 failure to finish the job against England in an Ashes Test. After their defeat in the first Investec Ashes Test this year, their win-loss record in Cardiff across all formats reads much like the name of a Welsh village: LWLDLLL. No wonder they didn't feel like sharing a beer with Alastair Cook and his men after the game. Of course, the post-match snub was merely froth and bubble (or not, apparently) compared with what happened on the field. There, Cook earned praise for his captaincy and was backed by a strong all-round effort from his players. They were calm, confident and patient. And, despite doubts over Moeen Ali's fitness, they enter the second Test at Lord's with a largely settled side. The same cannot be said of the Australians. Significant changes are expected, including the withdrawal of Brad Haddin for personal reasons. That will mean a Test debut for Peter Nevill, albeit not in the kind of circumstances anyone would wish for. There is also a likelihood that Shane Watson will be axed for Mitchell Marsh, a move that has been described as potentially career-ending for Watson. However, given Marsh's history of injuries, it is not out of the question that Watson could find himself back in the side later in the series. Things went pretty well for England on the third day in Cardiff, and not only because they skittled Australia's lower-order and set up the victory. It was also the day on which Ian Bell emerged from a batting slump. England will hope he gained some confidence from the 60 - his first half-century in ten Test innings - and Australia know how dangerous it can be to allow him to find form. Last time the teams met at Lord's, Bell scored 109 and 74. Peter Nevill will become the 443rd man to represent Australia in Tests and will be keen to show the selectors he can handle the step up. A fine domestic batsman who scored 764 runs at 76.40 in the most recent Sheffield Shield summer, Nevill has overtaken Matthew Wade as Haddin's backup and, at 29, he could have many years of Test cricket ahead of him if he eventually becomes the full-time successor. England named an unchanged 13-man squad for the Lord's Test and hope to keep the same XI from Cardiff but Moeen Ali is carrying a side strain that has limited his ability to practise. 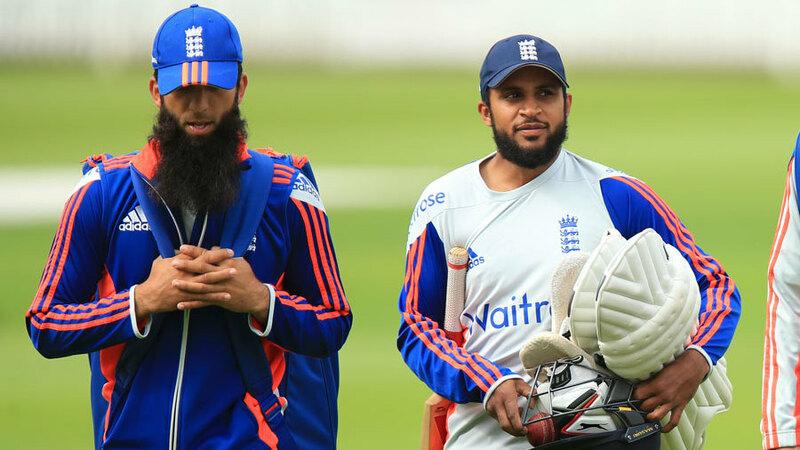 Adil Rashid has suffered a minor injury to his spinning finger, too, so England look set to bank on Moeen. Marsh and Nevill appear set to replace Watson and Haddin, but a third change looks unlikely. Mitchell Starc battled an ankle injury during the Cardiff Test but has bowled well in the nets in the lead-up to the Lord's Test and should retain his spot ahead of Peter Siddle. The Lord's pitch should have more pace and carry than what was offered at Cardiff, where even on day one some deliveries were staying low. Rain has hampered preparations slightly but the forecast for the match is for fine weather and temperatures in the low 20C range. "When we win, the captain gets the plaudits; when we lose, the captain picks up the negative bits as well. That is part and parcel of the job." "Generally here at Lord's the first session of the first day is a bit tough, it seams around a bit, but once you get in as a batter it can be beautiful to bat on."